Angela is a creative technology educator available in Boulder (and beyond). Here you will find her upcoming workshops and special events. 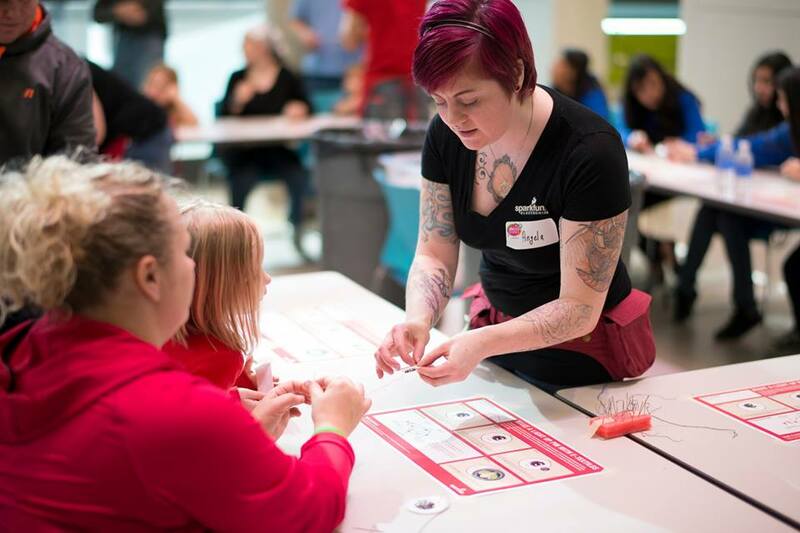 Join us at Sparkfun and create an awesome popup valentine that lights up! You'll learn how to set up the electronics (copper wiring, conductive paint, batteries, switches and LEDs), work with lots of paper and craft materials and laser cut pop-ups (or make your own). We'll have supplies for everyone to make 1-2 cards. Afterward, the Sparkfun retail store will be open - so you can purchase supplies for more light up projects. All tickets must be purchased before 12:00pm/Noon on Friday, Feburary 5, 2016. Tickets will not be sold at the door.